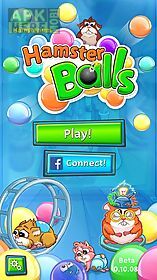 Hamster balls: bubble shooter game for android description: An addictive bubble shooter game! Match 3 or more color balls to pop them! Help your cute hamster friends reach their home in this bubble shooter game. An exciting adventure full of dangers obstacles and tricky balls waits for you! 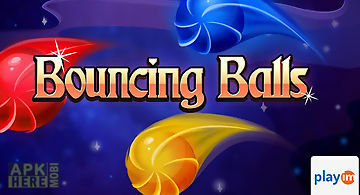 Save lab flies and other creatures trapped inside balls get the highest score or just survive! Meet the ingenious hamster team: timmy runner psycho and wisenheimer. Along with yourself they constitute a perfect bubble shooter crew that can overcome anything! Discover how the hamsters special skills come in handy with their ball popping abilities. Psycho hates red buttons? Ok there is a perfect red button for him that causes total ballihilation! Let s upgrade the equipment on his running wheel and produce bombs! Wisenheimer can control balls with the power of his mind. Just clean the dust off his telepathic helmet and let him do his job. Timmy s best skill (besides operating the bubble shooter cannon) is getting into trouble! This little tyke is the reason why the whole adventure started. Disclaimer: beware of mysterious events fading light and balls that refuse to pop but also may freeze poison or even predict the future! No balls were harmed while making this game. How to play: tap the screen to aim and shoot the balls. 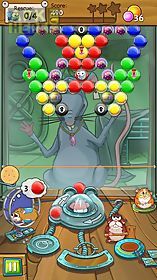 Tap the bubble shooter cannon to swap the balls. 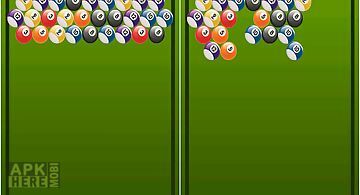 Bounce the balls off the walls to aim into tricky spots. Features: 100+ levels of challenging puzzles! 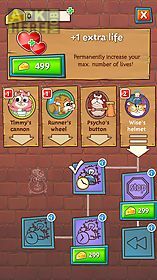 Upgradable hamsters each with unique abilities! 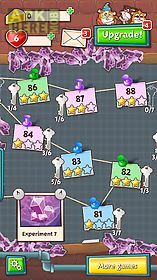 Review: magnetic balls puzzle game features: 4 worlds with different physics 384 levels with increasing difficulty 16 collection kittens with 80 items for .. Bubble dragon: saga. 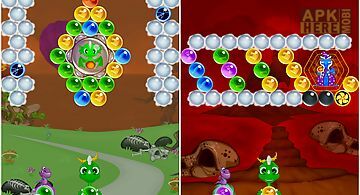 bubble shoo..
Guide a cute dragon through many colorful levels. Destroy colorful bubbles. Match groups of 3 or more same bubbles and watch them explode in this android g.. Shoot colorful bubbles on nice summer beach of a heavenly tropical island. 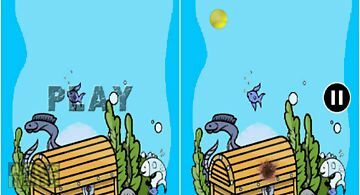 Blow up thousands of bubbles in this android game! Use spring catapult to shoot .. Bubble bust! 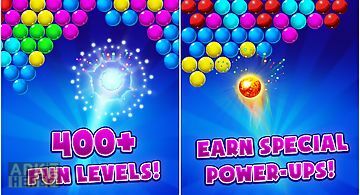 The 1 bubble shooter game played by over 25 million people is now available on google play for free! 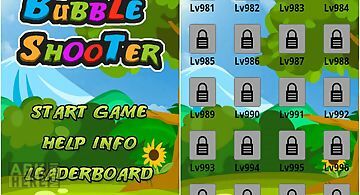 This amazing bubble shooter features high..
Are you tired of plain and mindless bubble games? 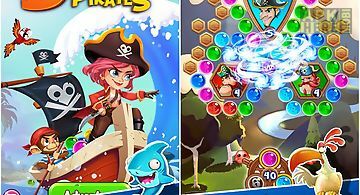 Well it 39 s time to get excited with bubble pirates the best bubble games out there! 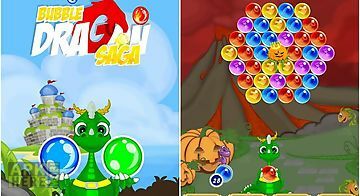 Best free mobile ga..
A cute dragon mania with his adventure through many interesting levels will make you happy than ever. How to play this shooting game : - tap on the screen .. Shoot the chain of colorful bubbles rolling along a winding path. Dont let the balls get to the end of the path. Develop your reaction speed accuracy and l.. 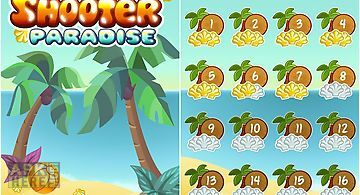 Pop pop and pop again in this bubble shooting fun filled follow up to the classic bubble shooter. 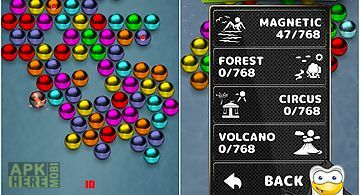 There are more than 800 levels filled with bubbles boosts.. Here are 1000 addictive levels in game enjoy the fun in once time! 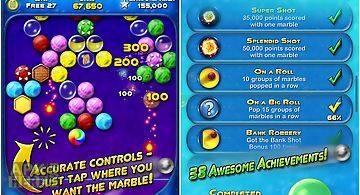 The classic and exciting bubble shooter game. 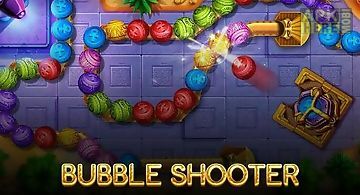 Shooter bubble and knock the bubbles down ..
Have great fun playing the amazing and classic aqua bubble shooter game. All you need is to tap the bubble when it shoot up which is a deluxe of having it ..